"No one knows more about theory-based counseling than Gerald Corey, who has spent the past 50+ years helping us to gain real insight into multiple models. In this book, Corey takes readers from forming a working alliance with clientsthrough the processes for setting and achieving goals. His skill at and understanding of the termination processes is worth the entire book. Not only will The Art of Integrative Counseling be the core text for counseling process and skills courses, it will provide the foundation for effective, truly integrated counseling throughout one’s career." 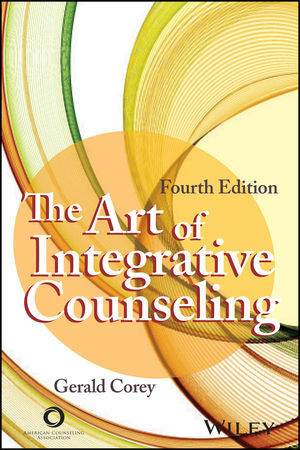 "Gerald Corey's fourth edition of The Art of Integrative Counseling provides important concepts to consider when developing an integrative approach to working with clients. For beginning counselors, it demonstrates how one can be integrative whether one is behaviorally, cognitively, or affectively oriented. For more advanced counselors, it reminds them of the wealth of information that all theories offer and how techniques or theories can be synthesized into a more effective approach. Whether you are a new counselor trying to figure out how to integrate the many theories you learned about, or a seasoned professional seeking new ways of working with clients, this book has something for you."